Noah's Ark Tenement, Launceston | Launceston Then! 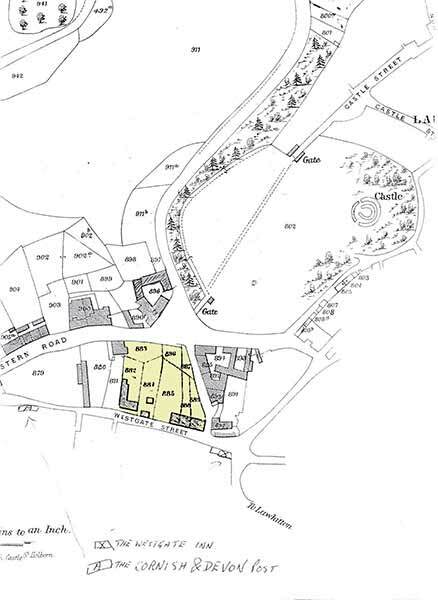 Noah’s Ark was an area in Launceston that was situated on the North side of Westgate street running alongside the Dockey as seen on the highlighted area on the map below. 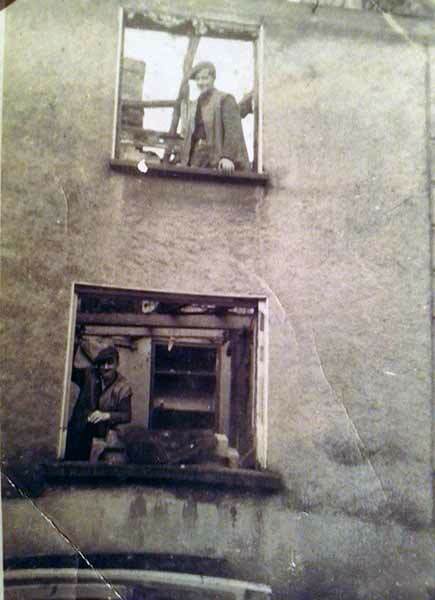 It was so called as in the small paddocks behind the tenements, a menagerie of different animals were kept. Being so close to the town meant that the area was always in danger of development and the inevitable happened in 1886 when the Town Council, in seeking a site for which to construct a new Guildhall, purchased the lower part of the park. The Guildhall was duly built at the cost of £1,835 in 1887. 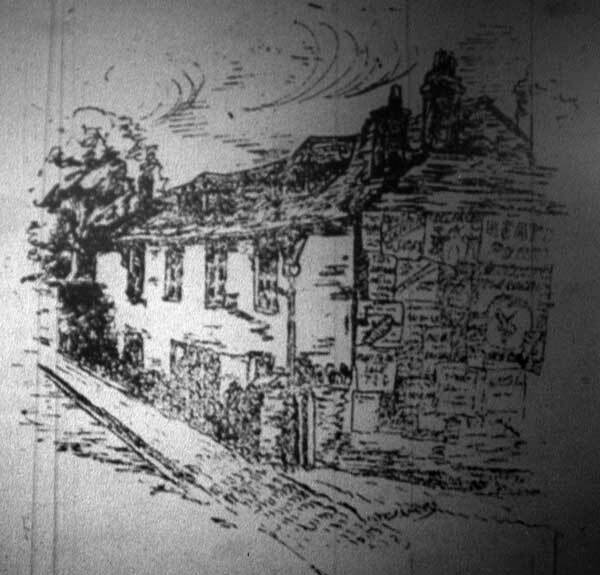 This was the start of encroachment and by 1901 the whole area had come under development with the Town Hall and Drill Hall being constructed (Noah’s Ark Tenements were demolished to make way for the Drill Hall) with the rest of the land being used as a Sheep market which later became a car park. In 1958 the three houses that were 22, 24, and 26 Wes were demolished presumably to give better access to the Dockey. In the 1990’s the whole of the sheep market car park was controversially developed into a multi-storey car park. Above the map of the area around Westgate Street from the late nineteenth century showing the area coloured yellow being the area known as ‘Noahs Ark.’ Noahs Ark tenements are the ‘L’ shaped buildings to the western side of the plot and is where the Drill Hall was built. 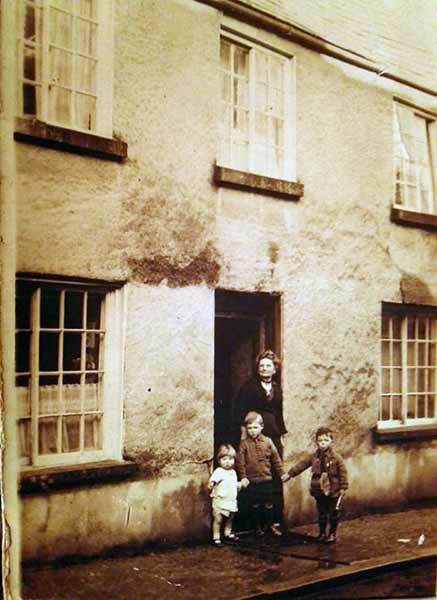 Mr. Beckelegge (Cabinet Maker) outside his home in Westgate Street. 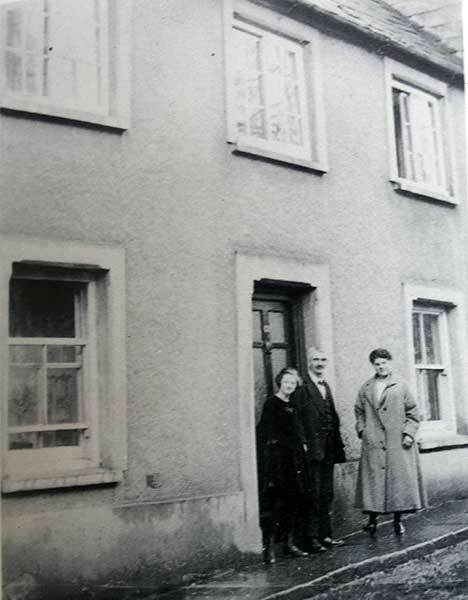 The early 1920's with Mabel Hillman and Ronald Hillman and two of his brothers outside No. 22 Westgate Street, Launceston. Photo courtesy of Vivien May. 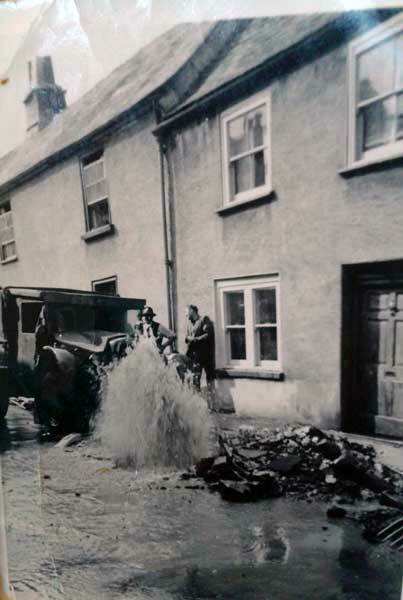 Mains Water pipe burst in 1952 outside No's 22 and 24 Westgate Street, Launceston. Photo courtesy of Vivien May. 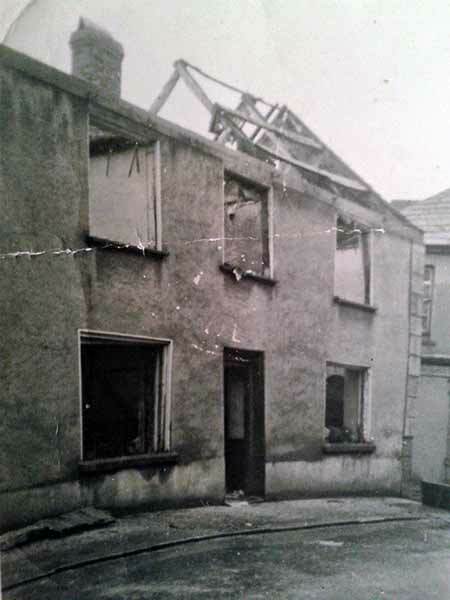 22 Western Road,, Launceston in 1957 being demolished to make way for the sheep market car park enlargement. Photos by Vivien May.